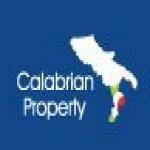 Calabria property is regaining the popularity it lost at the hands of the so-called credit crunch according to a slew of recent reports. Most recently we have the new flights from Ryanair, linking Lemezia Calabria to Brussels, London, Barcelona, Dusseldorf, and Stockholm. This not only shows us that tourism to the region is back on the up, but also increases accessibility and boosts this growth. Rising tourism is good news for the property market for two main reasons. The first is that it increases the pool of rental occupants for those looking to rent out Calabrian property when not in use. And secondly because Calabria’s unique package means a high proportion of tourists will go on to become property owners in the region. What unique package I hear you ask. Well, most of you will know its core strength, that it offers property at the prices found in emerging markets, within the safety, stability and security of the established, regulated Italian property market. But more than that, Calabria is a coastal location with two unique and equally beautiful coastlines. To the west you have the Tyrrhenian Sea and to the east the Ionian Sea, both set amidst Calabria’s fantastic climate. Sloping up from the sea, even buyers who buy a little back from the sea still get views in Calabria. As a result when people come they want to stay. The climate is of course another strength. As we hear more about Spanish tourism falling, along with rising costs, the seering heat is also being mentioned. Whilst being warm with comparatively low rain levels, Calabria’s temperatures are much cooler, whilst still being warm enough to swim in either of the oceans. This powerful package is once again gaining the recognition it deserves and Calabrian property is back on the path to becoming one of Europe’s top property choices.